This DIY Wrap Dress Tutorial comes in two parts. This is the second part where you will learn how to make the bodice of your wrap dress. To check out how to make the skirt, click here. If you have never drafted a pattern from a piece of clothing you already have, check out my tutorial for making your own shirt pattern. This process will be almost the same. Take your shirt and fold in two, put it front side up on the pattern making paper. First, trace around the front part of your shirt, omitting the sleeves. Next, turn your shirt around to see the back side of the shirt and trace it. There will be a few minor alterations to the bodice pattern. Don’t trace the sleeves until you are done with the bodice and happy with how it fits you. You will also need two long, rectangular pattern pieces for dress straps. You can use a thick ribbon to serve you as straps, which will save you a lot of time, but I chose to make mine out of tulle as well. Judge how long do you want your straps to be and how wide. Make your pattern twice as wide as you want your straps to be (plus the seam allowance! ), because you will need to fold them in half. The skirt of the dress should be located on your natural waist, so we must shorten the bodice to only reach your waist (remember to keep 1,5 cm seam allowance!). To do that, measure the distance between your shoulder and waist (add 1,5 cm to that measurement). Then, shorten your front and back bodice panels so that they are not longer than this measurement. 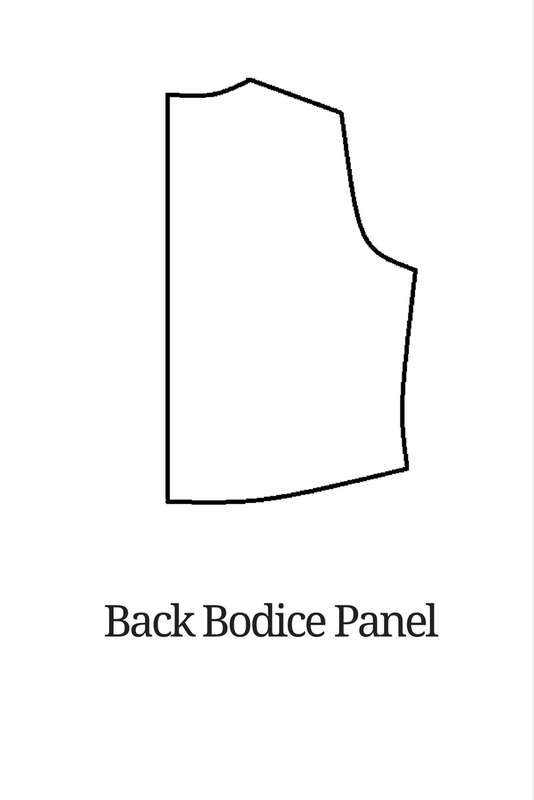 After you do that, check that the side seam of front and back panels align. If you took a shirt in order to draft this pattern, it is very likely that it’s slightly too loose in the waist. That’s what happened to me as well, but I was very happy about it because this allowed me to add some darts! They definitely spice this dress up! 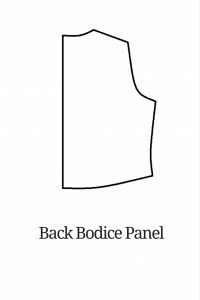 I added two in the front bodice and one in the back bodice panel. The only thing left is to alter the neckline. 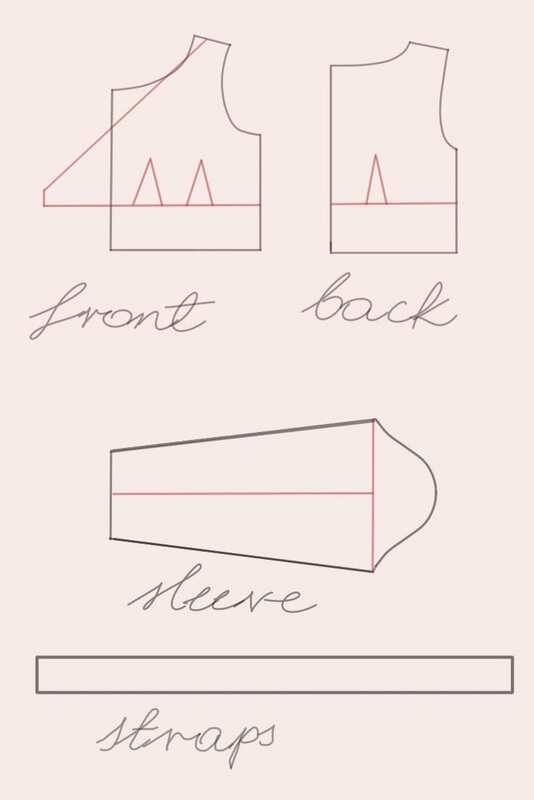 Slash the front bodice panel by cutting a line from your shoulder to the point around 4 cm above the waist. This will give the dress a v-neckline. Before you proceed to cut out your pattern, I advise making a muslin (really, really please do). This will allow you to see all the alterations that need to be done before you start playing with tulle. 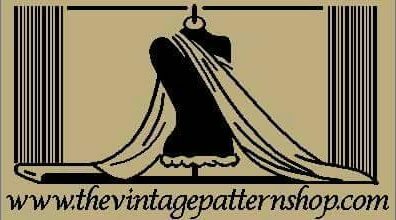 Once you are happy with the fit, it is time to make the pattern for sleeves. Cut out a big piece of paper and fold it in half. Take the front of your muslin bodice, align shoulder seam and the top fold of the paper. Next, trace around the front of the armhole. Then flip the paper to the other side, take the back of the bodice and align its shoulder seam with the fold of the paper. Trace around the back of the armhole just as you did before with the front. Once you unfold the paper you should have the top of your sleeve pattern. Now, make a fist with your palm and measure around it. Let’s say your fist is 20 cm, that will be the width of the bottom of your sleeve. Measure the distance between your shoulder and your palm. This will be the length of your sleeve. 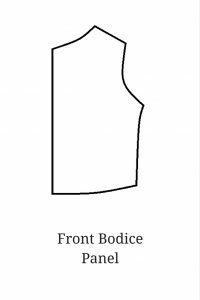 Draw a straight line between the two points where the top of your sleeve pattern ends. Make a dot in the middle of that line. Then, draw the line that is as long as the distance between your shoulder and palm. Next, draw the bottom of the sleeve and connect the top and bottom of your sleeve pattern. Remember to add 1,5 cm seam allowance around it and your sleeve pattern is ready. Cut out two pieces of front bodice and two sleeves. Sew the darts on the front and back bodice pieces. Iron the front bodice darts towards the side seams and back bodice darts towards the center. Put back and front bodice pieces right sides together, pin in place and sew together first at the shoulder seams. At this point, you have to decide how do you want to wrap your dress. I thought that it would be comfortable to have the left side of the skirt on top and right side going under. Therefore, I had to keep a small opening on the left side of the bodice to pull my right strap through. 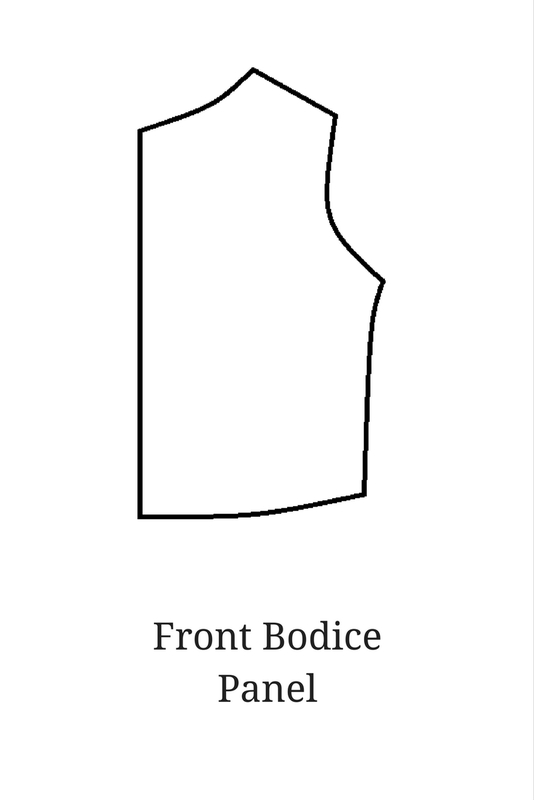 Put your bodice right sides together and pin at the side seams. Mark a small space at the left side seam, the width of your dress strap, and remember to leave it open while sewing the other parts of side seam together. Fold your sleeves in half, right sides together, pin it in place and sew along the underarm seam. Turn the sleeves right side out and the bodice inside out. Insert the sleeves into armholes. Align the underarm seam of the sleeve with the side seam of the bodice. Pin the sleeves securely in place and sew carefully. Take the two long, rectangular strips of tulle that you cut out. Fold each one of them in half, pin in place and sew along the edge, leaving one end open. Next, pull them to the right side, so that the seam allowance stays inside and iron them flat. Take them to the ends of the front bodice and put them right sides together. Sew the strips and front bodice pieces together and iron the seams to help them stay flat. Check if you can comfortably wrap them around yourself. Pin bodice and skirt right sides together. Start by attaching one end of the bodice with one end of the skirt and pin around. Sew in place. Your DIY Wrap Dress is ready! I hope you didn’t find this tutorial to be too confusing. Trust me, once you start going it’s quite easy to figure it out! Please let me know if you feel like making your own DYT Dita- Inspired Wrap Dress.